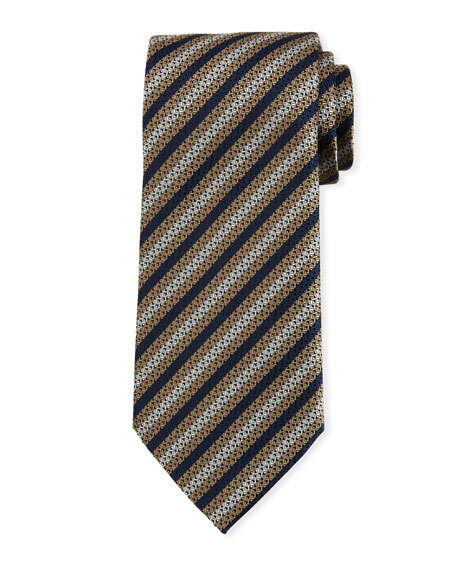 TOM FORD woven tie in diagonal herringbone stripes with border piping. 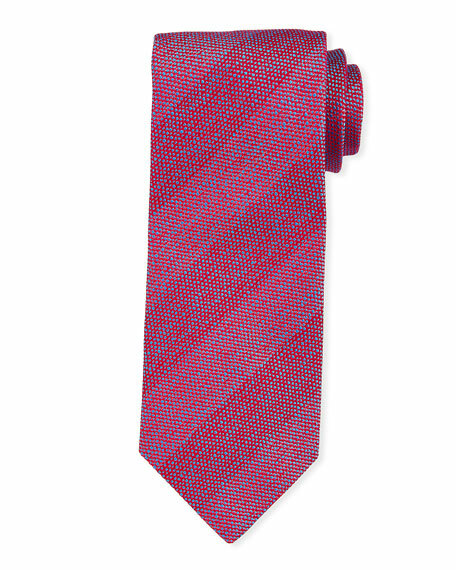 For in-store inquiries, use sku #2224603. 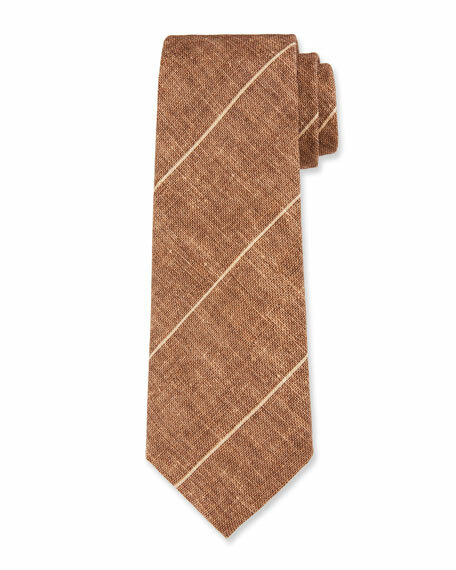 Brunello Cucinelli tie in thin stripes. Approx. 3" wide. Linen/silk; dry clean. Made in Italy. Charvet tie in striped motif. Approx. 57"L; 3.5" at widest. Silk; dry clean. Made in France.